The Life Eternal Trust, Mumbai is the FIRST and the OLDEST Sahaja Yoga Trust, formed by Her Holiness Shree Mataji Nirmala Devi on March 8, 1972. Shree Mataji formed this Charitable Trust within two years of Her starting Sahaja Yoga movement for transformation of human beings by opening the Sahasrara at Nargol on May 5, 1970. She also registered the Trust with the Charity Commissioner, Greater under Charity Commissioner, Greater Mumbai, under the Bombay Public Trusts Act, 1950, Regn. E 4884 (B) dated 08/03/1972. To expedite the process of spiritual evolution by exciting the residual consciousnesse. Kundalini, to rise ultimately leading to self-realisation (Second Birth as defined in the Bible, the Koran, the Indian Scriptures and the great ancient prophets and sages all over the world). To achieve the evolution described in the foregoing para through the method of “Sahaja Yoga” which means effortless, easy, relaxed method of meditation evolved by Mataji. To organize meditation centres for this purpose. This completely precludes all the external human efforts like rituals, worships, prayers, recitations, reading, renunciation (i.e. Sanyasa), worship of the preceptor (Guru) or any other physical expressions. By the process, to reach a Zero point where one becomes effortless and starts feeling the play of the supreme. Ultimately to reach the stage where one loses the Ego (T) and one becomes one with the Creator and His creation. To open the minds of people through meetings introducing “thoughtless awareness” which discovers the subtle which at present is lost in gross words, books and dogmas. To introduce the only one internal living religion lying dead and camouflaged under external practices and precepts of religion in all the human beings and for this to organise tours and hold spiritual meetings as per wishes of Mataji. To spread the news of the descent of the Divine Grace, with the help of self-realised disciples of Mataji. To cure people of their physical and mental ailments by blessing them with divine healing touch of Mataji and other disciples who have developed their collective consciousness through self-realisation. To give the taste of real joy that is within the self. To practice different methods of meditation evolved by Mataji and to hold meditation camps. To create a new generation of self-realised people and to render motherly protection to all such children against evil intentions and to look after their well-being. To build and run Ashramas of Sadhakas for their use during Sadhana and to promote all activities expressing the new dimensions of creativity. To introduce this work in School, Colleges and other institutions and groups and to run schools for younger people. To improve the aesthetics of behavior and beauty by holding exhibitions of art, culture and music and through all activities which speak the universal language of love and beauty by developing the inner sense known as “Ati-Indriya”, that enlightens the subtle sensitivities. To employ the energy of love to overcome hatred that is the cause of wars, disintegration and destruction by publishing and relating the spiritual experiences of Sadhakas which prove the universal laws of love. To overcome the void between the material saturation and the unknown which is causing fear, restlessness, sleeplessness and tension leading to escapism from reality and false renunciation. To print, edit and publish journals, books and literature written by Mataji and her disciples with her approval for conveying the knowledge of truth so that the human beings who are the highest in evolution, rise in their glory, dignity and freedom, as also for publicising the activities of the institutions run by the Trust. To distribute to patients simple medicines and oils with Mataji’s vibrations and of any disciples on instructions from Mataji. To hold press conferences to give a correct picture of the activities of cosmic powers by demonstration or by discussion, as well as of the Life Eternal institutions. To collect books under the guidance of Mataji for libraries. To build sanatoria, hospitals, nursing homes for the sick and invalid. To counteract through mass spiritual power the destructive forces against spiritualism such as evil spirits, the cult of hypnotism, siddhis and the use of “religion” for the exploitation of the innocent. To unite all genuine seekers of truth divided by dogmas and ignorance so that Satya Yuga (the Age of Truth) is born out of the present Kaliyuga (the Age of Darkness) rather than complete annihilation. To harness all the human resources to achieve this great task for which mass evolution will be needed. To open, organise and run local centres of the Life Eternal Institution in various parts of India and in foreign countries, the centres being opened on the distinct understanding that meditation is the path of the entire human destiny, and that all barriers of states, nations and races are artificial and irrelevant to Life Eternal. Sahaja yoga activities have been organized under this Trust since 1972. The Trust has in its name immovable properties at various places in Maharashtra viz; Nirmal Nagari Ganpatipule, Shere village Mulshi, Sangam Village Solapur, Kothrud Pune, Aradgaon- district Rahuri, International Sahaja Yoga Research and Health Centre- CBD Belapur, Vaitarna, …etc. These were bought by Her Holiness Shree Mataji in the name of The Life Eternal Trust. The Trust has its main office at Andheri East, Mumbai. The Trust conducts regular weekly sahaja yoga meditation centres at various locations. At these centres, self realization is given and sahaja yoga is taught free of cost to desiring new people irrespective of any religion, caste, background or beliefs. The expenses of the centres are met through small contributions / donations from established practitioners. Regular programs for self realization through sahaja yoga are being periodically held at various schools, colleges, corporates, public places etc. Regular workshops are also being undertaken to impart better understanding of self and balanced lifestyle. All these public programs are conducted free of cost to the newcomers. Regular events like Seminars, workshops, musical programmes, informative programs are also being periodically conducted at various locations. Research on Sahaja Yoga and healing of energy centres through sahaja yoga meditation is also done at International Sahaja Yoga Research and Health Centre, CBD Belapur. The Trust does not charge anything for self realization as per the principles propounded by the founder Her Holiness Shree Mataji Nirmala Devi. 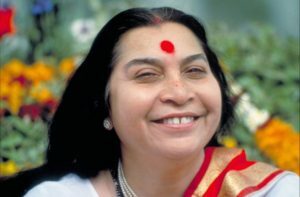 It is the endeavor of the Trust to impart the mental, physical emotional and spiritual benefits of Sahaja yoga enmasse to as many persons as possible. Address: The Life Eternal Trust,B-612, Urmila Co-op. Hsg. Soc., Koldongri, Andheri – East. Mumbai – 400 069.